Want Good Luck This 2017? Make This New Year Dishes! There are culinary traditions all over the world that are believed to bring good luck on New Year. Why not incorporate some of the into your New Year's Eve party to attract good tidings? Here are some great recipes you can make for New Year's. Aside from following traditions for good luck, these recipes are also flavorful and super delicious, they'll surely be adored by the whole family! Great food, good company and a nice bonding time over an unforgettable meal - what could attract better luck than that? In Chinese, the term for "fish" sounds like the word fr "abundance." Thus, having a whole fish at the table symbolizes great abundance for the coming year. In fact, the Chinese believe that serving fish with its head and tail ensures good luck for the coming year from start to finish. 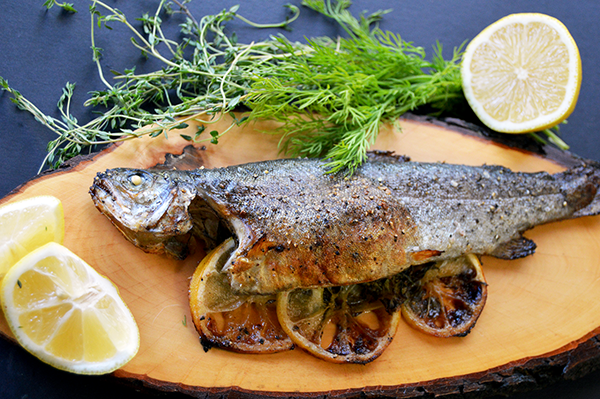 Here's a great and simple fish dish for your family. Not to mention, it's super healthy! For additional good luck, it's also a Chinese practice not to turn the fish over once one side has been eaten. Instead of flipping it over, remove the bones to enjoy the other side. 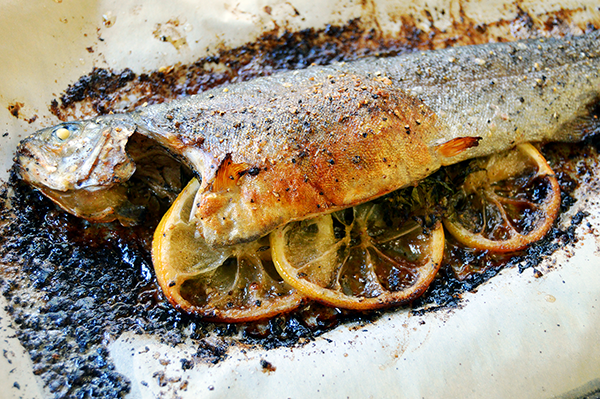 "I cooked the fish until it's skin was crispy and it's insides were tender, about 25 minutes. The fish flaked right off the bone and melted in my mouth." Pork is another dish that's believe to bring prosperity. According to traditions in countries like Portugal, Hungary, Cuba, Austria, and Spain, pork is a symbol for development and abundance. This pulled pork recipe from Kevin & Amanda is the perfect dish to prepare ahead of time for your New Year's Eve party. "This pulled pork is SO yummy and flavorful and tender, it just melts in your mouth. And it really is *perfect* for company because everyone I’ve ever made this for has just raved over it. You have to try it, at least once. Really. You will be hooked. 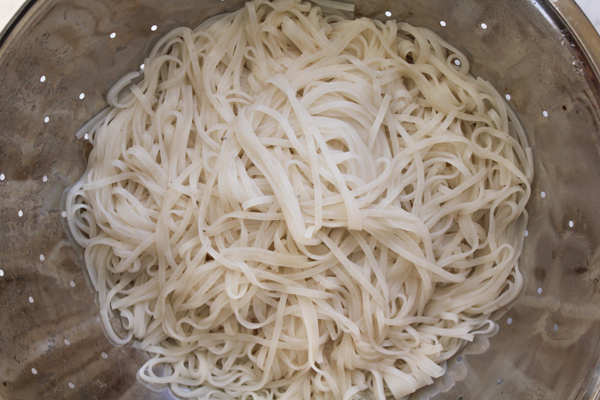 :)"
Long noodles symbolize long life in many Asian countries. Just be sure not to cut the noodles during the cooking process or while eating. 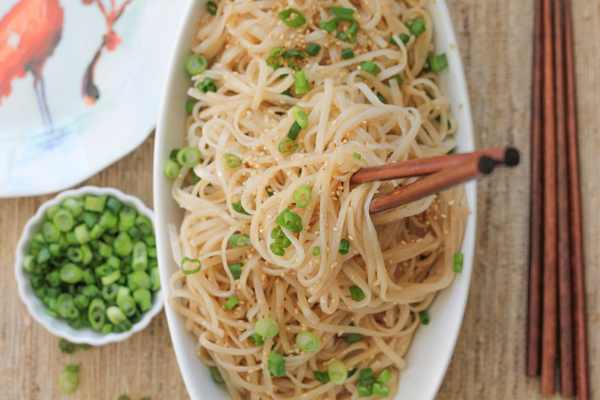 This recipe from Hip Foodie Mom is easy to make, flavorful, and so delicious! It's perfect with roasted meat or poultry, or fried or steamed dumplings. "You only need to boil these for about 4-5 minutes. After that, simply whisk together the sesame oil, garlic and soy sauce and a pinch of salt, to taste, until combined. 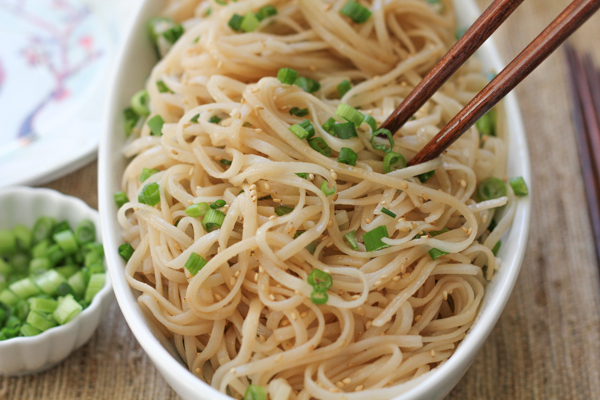 Pour the mixture over the noodles and toss well to coat." Make Holiday baking a lot easier and more enjoyable by using good quality silicone baking mats. Not only are silicone mats sturdy and durable. Because they're non-stick, you can also cut your clean up time in half.